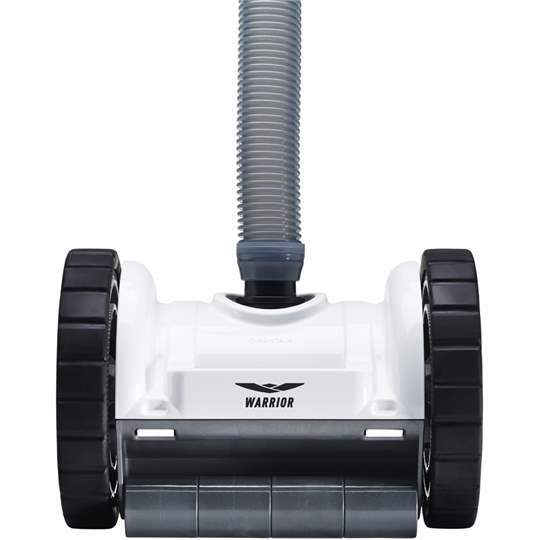 You won’t find a suction-side cleaner that works harder than the NEW Warrior cleaner. Put Warrior in your inground pool and you’ll win the battle against leaves, sand and other hard-to-clean debris. Its two-wheeled design and programmed steering maneuvers Warrior decisively around your pool, conquering 90 degree floor-to-wall angles, deep to shallow bottoms and hard to reach corners. It’s ready to deploy quickly – just set it and forget it. While it is powerful and durable, Warrior’s sleek, modern design looks right at home in any pool environment.